It’s been eight years since the band released a new song, but Eyehategod are finally back. And they still hate you. 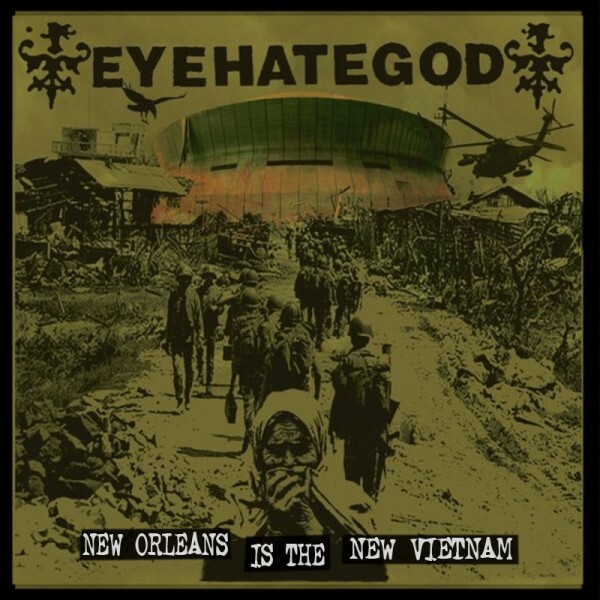 “New Orleans Is the New Vietnam” is the first song from a yet-to-be titled LP of new material from EHG, and it’s worth getting excited about. Unfazed by time, the founding fathers of sludge maintain their Black Flag by way of Black Sabbath sound. Down-tuned guitars and bass rumble over brutal drumming while Mike IX Williams screams at listeners about Hurricane Katrina and all the ways life is horrible. This is very much Eyehategod territory. So far, 2012 has been a great year for metal, but this single song trumps almost everything that’s come out up to this point. Listen to it. Then buy the 7” and listen to it again. Then wait patiently for these NOLA lunatics to grind you into the dirt when they finally release the full-length LP.